Your key has broken off in the lock? Locked out of your home? Lost your keys? Car ignition system not working? Office entry lock compromised? Whatever emergency you are facing with any lock, key and security system around your home, office or with your car, we provide professional, fully reliable and prompt emergency locksmith services in Plano. Emergencies can happen anytime and it brings stress and worry. All you want at that time is a professional support that can help you get out of the situation easily and as quickly as possible. Handling home, car lockouts to key extraction, key replacement, repair and much more, we can handle any tricky situation capably, on-time and on-budget to meet your entire emergency locksmith requirements. Why Do You Need an Emergency Locksmith? You interact with your car, home and office locks and security systems on a daily basis. And every mechanical and technical equipment and the device is prone to error and fault sometime or other. If you encounter a situation when you need a locksmith to tend to your locks and keys outside of normal business hours that too as quickly as possible, it means you need the assistance of a 24-locksmith service provider. With a complete knowledge of the security systems, from traditional to modern and covering the entire region of Plano and surrounding areas with our ready-on-call locksmith technicians we are able to provide timely and 100% guaranteed Plano emergency locksmith services. As your trusted and specialist emergency locksmith service providers, we are able to visit you on-site round-the-clock, without charging any call-out fee. How Can We Help You with Plano Locksmith Emergencies? 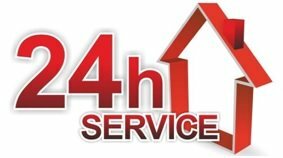 Through our 24-hour locksmith service, we provide all the same services to our customers that you will find a standard locksmith. Specializing in all the tasks of a locksmith, we cater comprehensive locksmith services through a 24-hour call out service. Most of the emergency locksmith requests come of lock-outs, but we are equally skilled at handling other requirements in an emergency including making a new key, new lock installation, key repair, security assessment and upgrade, and anything else. Fully trained and specializing in all types of locks, keys and security systems, our expert team of locksmith technicians is capable of taking care of any locksmith emergency, anywhere in the region with a full-service guarantee. They are always ready-on-call with a fully-equipped mobile van and reach the customer location as quickly as possible, helping them get out of the situation as quickly as possible with the desired solution. Want assistance of emergency locksmith in Plano? Call us right now for best possible, fast solution.